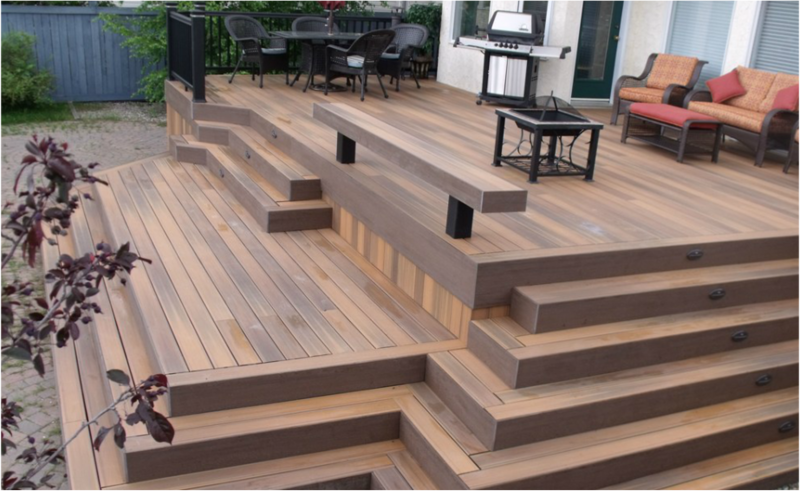 Fiberon Decking offers the most natural look, feel, and color palette available today in luxury composite decking, all balanced with time-tested durability and performance. The low-gloss formulation and unique micro-texturing process create a beautiful matte finish more commonly seen on exotic hardwoods. Varied grain patterns enhance the look and feel, plus ensure a finished, usable surface on top and bottom. And the colors? Inspired by natural elements and pigments, the palette of rich earth tones is subdued yet striking. Equally impressive is the uncompromising performance and easy maintenance. PermaTech, our bonded cap layer, ensures ironclad protection on all four sides against fading, staining, and just about anything Mother Nature sends your way.